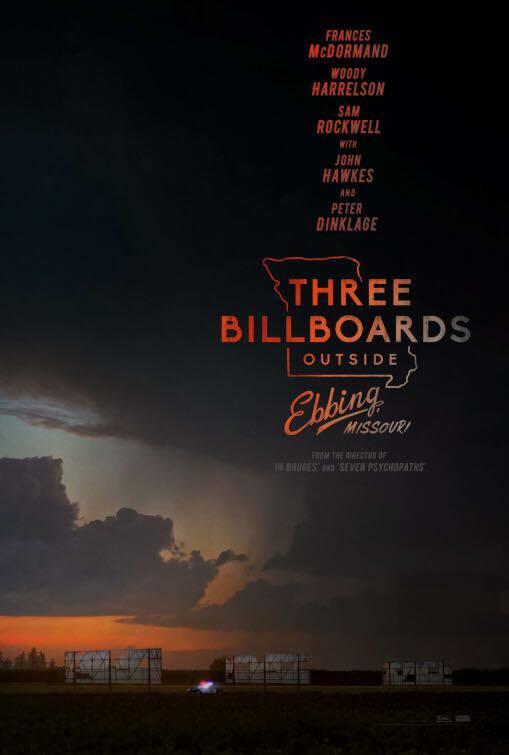 An absolutely riveting, searingly powerful and bitingly black comedy/drama by the brilliant director/writer Martin McDonagh. Led by Frances McDormand in a tour de force performance and the equally astounding Sam Rockwell, the talented ensemble cast (in particular Woody Harrelson, Caleb Landry Jones and Lucas Hedges) brought McDonagh's wickedly smart script to life. This was despite the film's difficult premise and generally unlikeable characters. However, McDormand and Rockwell really nailed their complex characters and hit it right off the park. They both should be in the running come Oscar season and hopefully together with McDonagh for screenplay and maybe even direction, Carter Burwell for another sublimal score and Ben Davis' for his lensing. With one of the longest title - yet also catchiest - "Three Billboards..." had moments that were sincerely touching and emotionally raw, and also equal parts bitingly funny and honestly bleak, this film was superb and anything but dull.